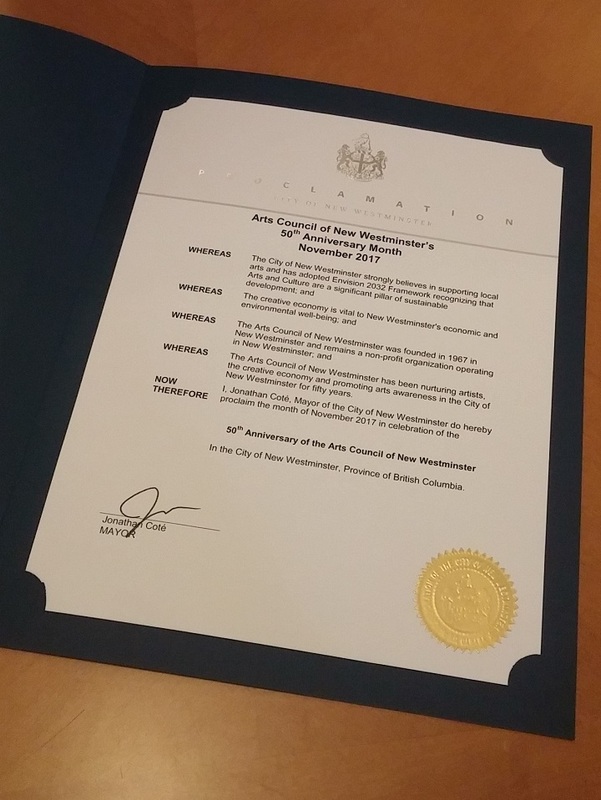 Arts Council of New Westminster President Leanne Ewen and Executive Director Stephen O’Shea gave a presentation to Mayor Cote and Council on November 6th, 2017 at New Westminster City Hall. 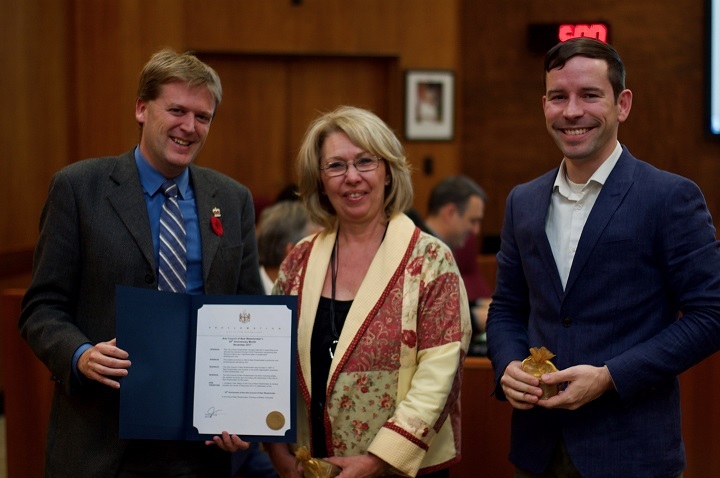 The presentation highlighted the successes of the Arts Council of New Westminster in 2017. At the end of the presentation, Mayor Cote read a Proclamation in celebration of our 50th anniversary. 50th Anniversary Celebration on November 26, 2017 from 2:30pm – 5:00pm at the Centennial Lodge. Let’s celebrate the future of the Arts Council as we raise a glass to toast the last 50 years of helping elevate the arts in New Westminster!